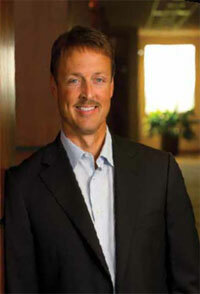 As Jeff Broin steps out of his CEO position, he is stepping up for worldwide health. For a man who has dedicated the last 25 years to raising the promise, profile and profitability of America’s ethanol industry, POET’s Jeff Broin could have just walked away for a long-overdue rest. In April, POET’s founder and Chief Executive Officer announced that he was foregoing the role of CEO – and tapped Jeff Lautt to run the company – so he could spend more time with his family. And to take on new challenges. While Broin will continue to lead the company’s board as Executive Chairman and speak out on behalf of ethanol and agriculture as cochairman of Growth Energy, he fully intends to use everything he’s learned in life to make the world a better place. That includes a renewed focus on the POET Foundation. Ethanol naysayers have been quick to point out everything that they see as wrong with the industry, everything from deforestation and rising food costs to excessive water consumption and increased greenhouse gas emissions. But by using his agricultural and business acumen, not to mention everything he’s learned in making POET a world leader in ethanol production, he says he’s going to prove the ethanol opponents wrong, through a foundation and POET’s work. When it began, the POET Foundation shared the same Midwestern roots as the company, Broin said. The foundation pumped money into family and agricultural organizations like Future Farmers of America, the YMCA and 4-H. The foundation also helps sponsor LifeLight Festival, the annual free Christian music festival held near Worthing, S.D. But the foundation went global in March 2010. At that time, Broin announced the first phase of Ingreenuity, POET’s four-phase plan to make ethanol with the smallest environmental footprint possible. That first phase was a comprehensive water conservation plan to reduce and reuse water from the ethanol production process. When realized, Ingreenuity will cut the company’s water used per gallon of ethanol from an average of 3 gallons to 2.33 – an annual water savings of 1 billion gallons. And to show that he was serious about water conservation across the globe, Broin also announced in 2010 a five-year, $420,000 grant to Global Health Ministries through the POET Foundation to help bring water wells to villages in Nigeria. 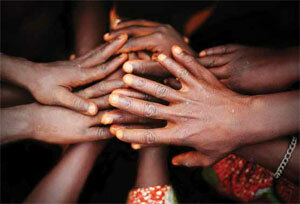 Over time, the foundation’s investment has grown into a worldwide health outreach. Since 2010, that partnership has provided for hundreds of clean, fresh water wells in Nigeria, built a 14-bed health clinic in the Central African Republic – located in the center of a region with the secondhighest maternal/infant mortality in the world – and helped launch a worldwide campaign of education and outreach so people can begin to protect themselves from preventable diseases like dysentery, malaria and cholera. That, Broin said, is one of the most important points about helping GHM move forward in the world. In those countries with high death rates of infants and children under 5, 50 to 60 percent of the deaths can be prevented by communitybased actions – without necessarily having a clinic in the community, according to Dr. David Thompson, a pediatrician at Hennepin County Medical Center in Minneapolis and a GHM board member. It’s all about teaching a man to fish, rather than just giving him a fish and simply walking away, Broin said. And that simple answer is why GHM will be successful in its mission, Iverson said.